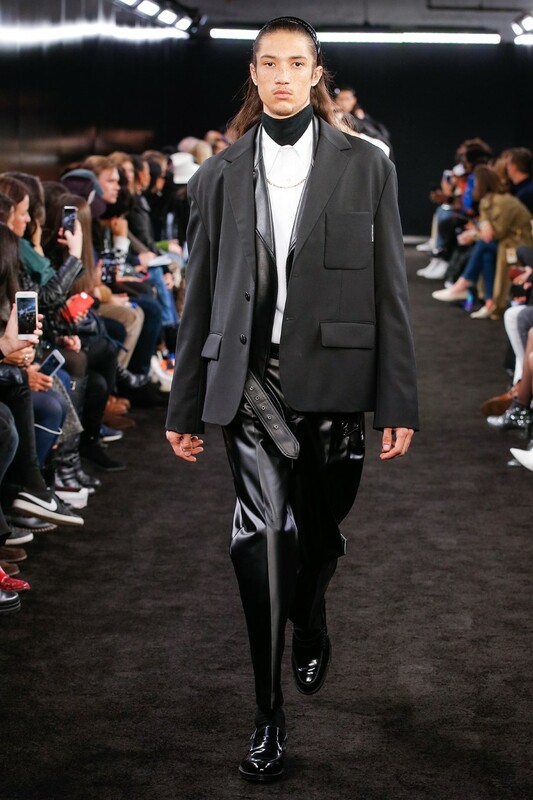 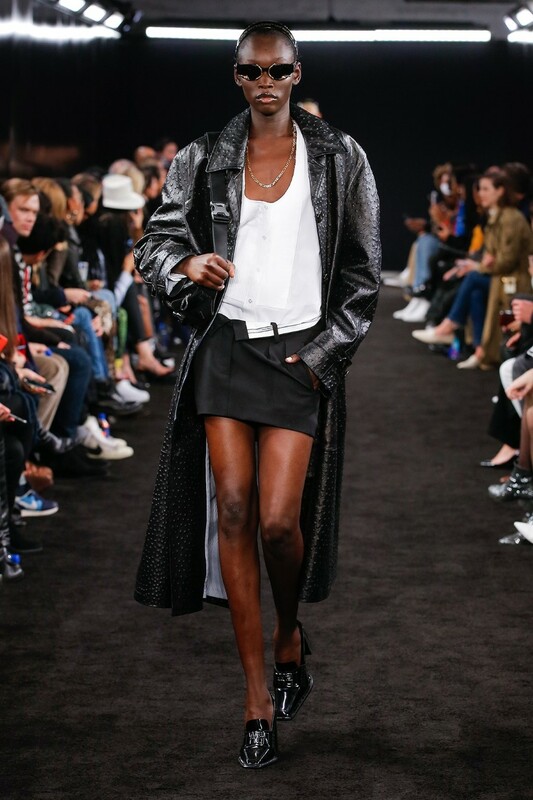 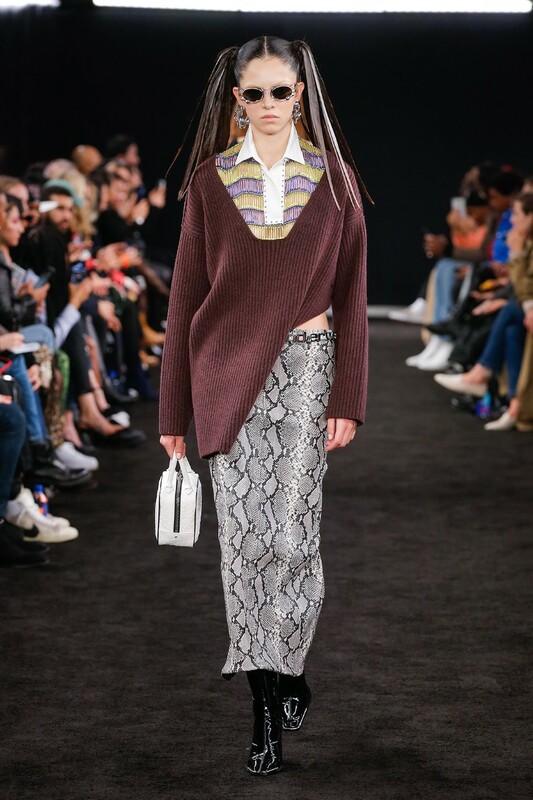 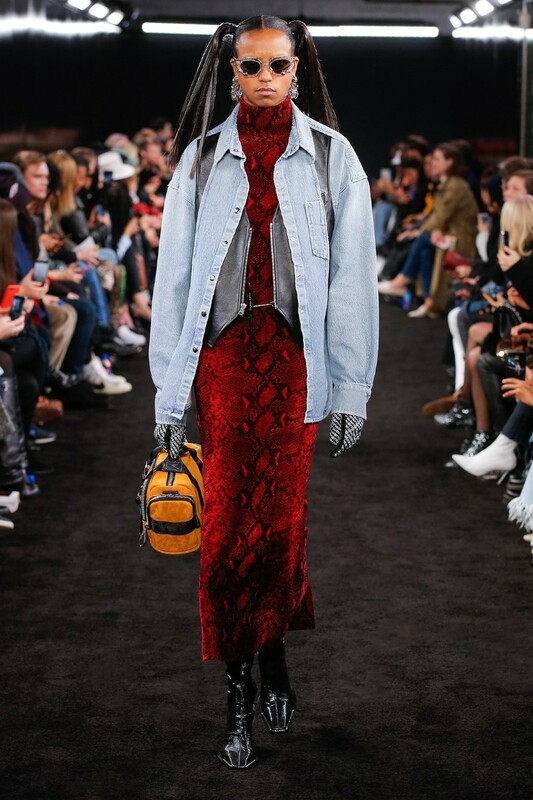 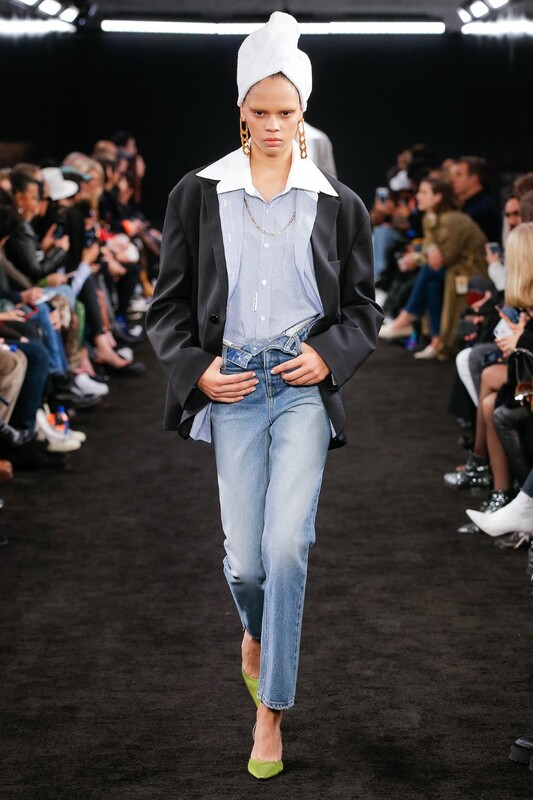 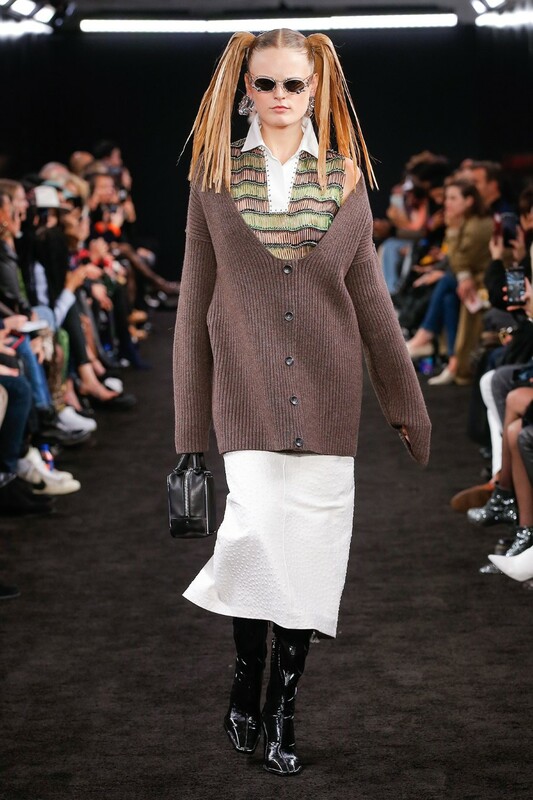 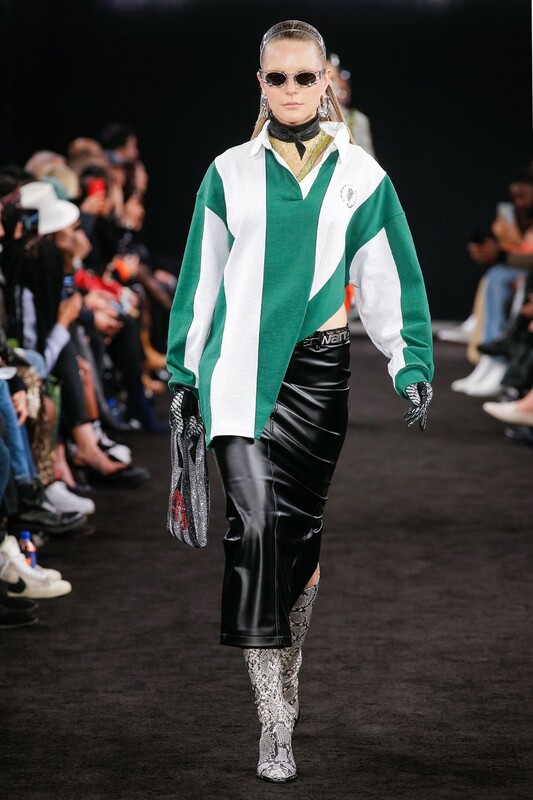 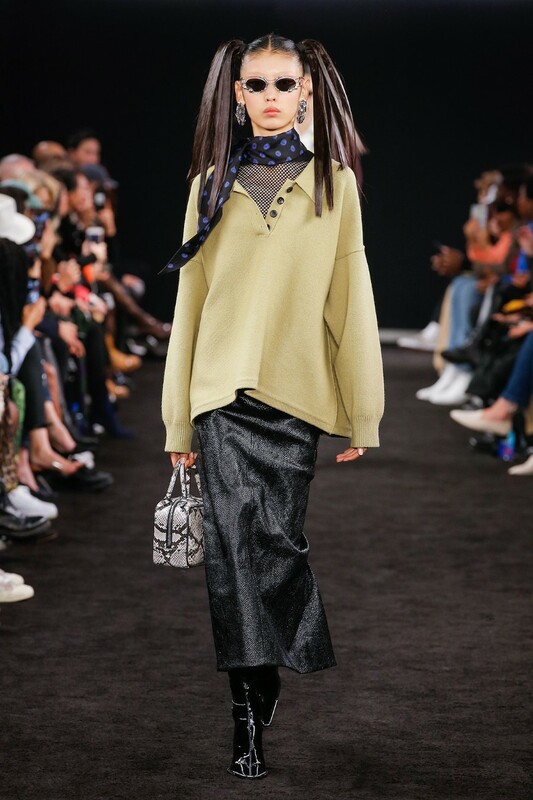 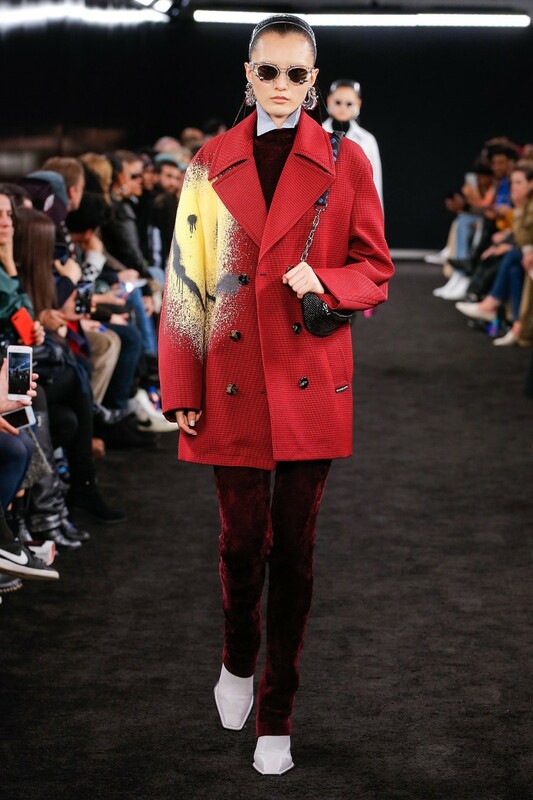 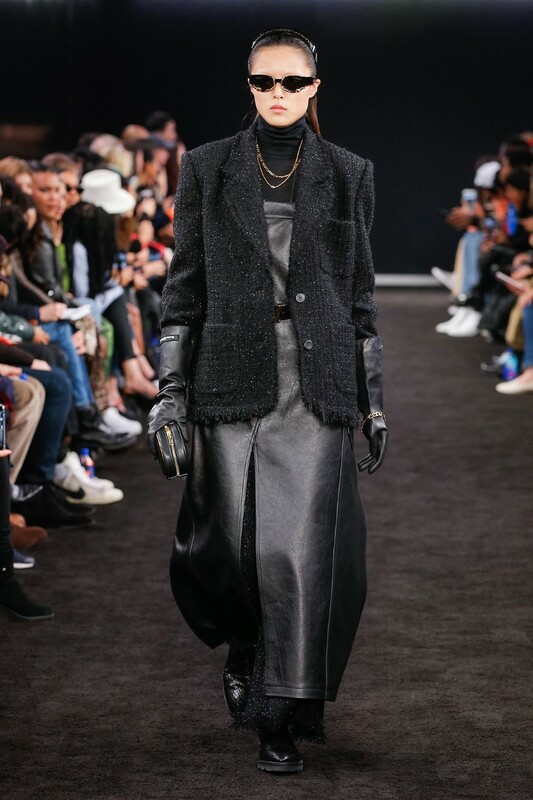 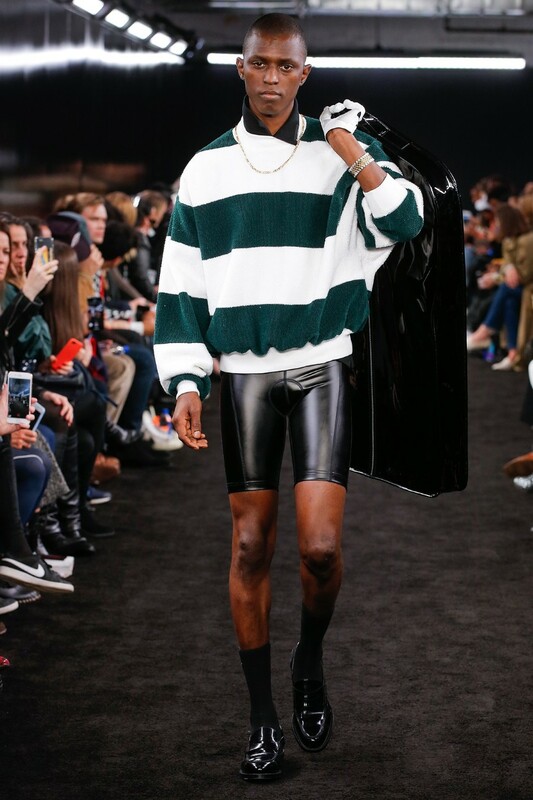 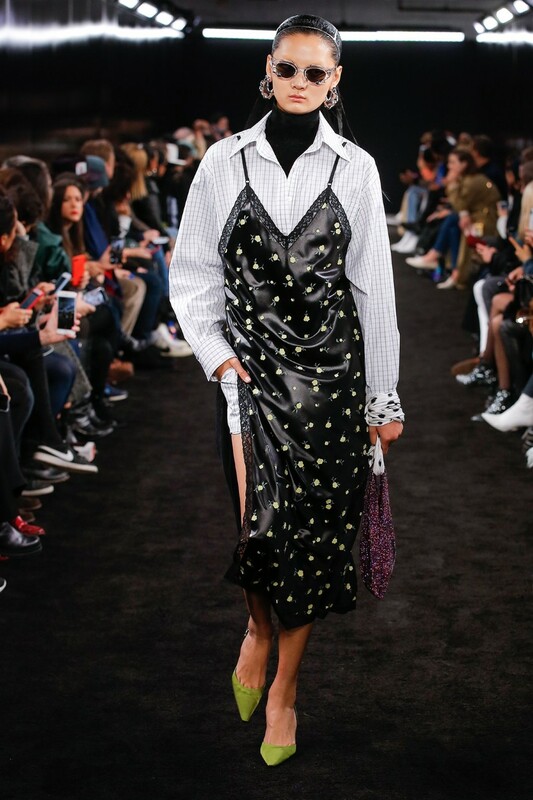 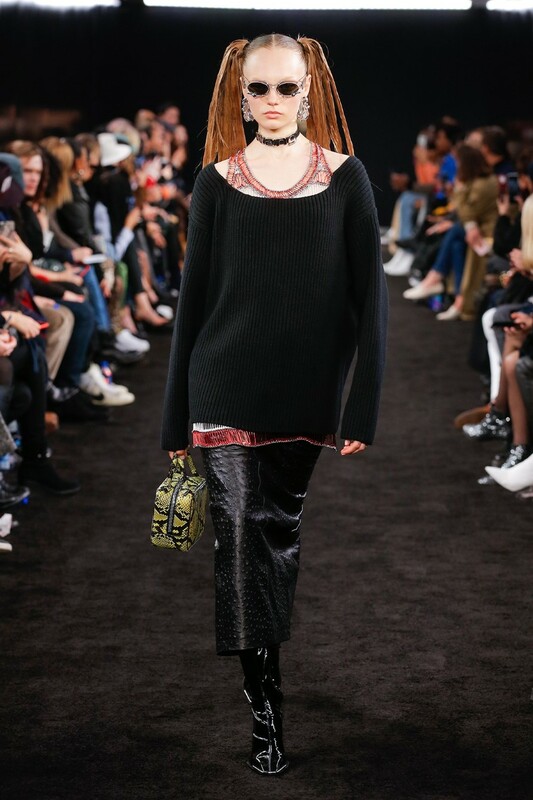 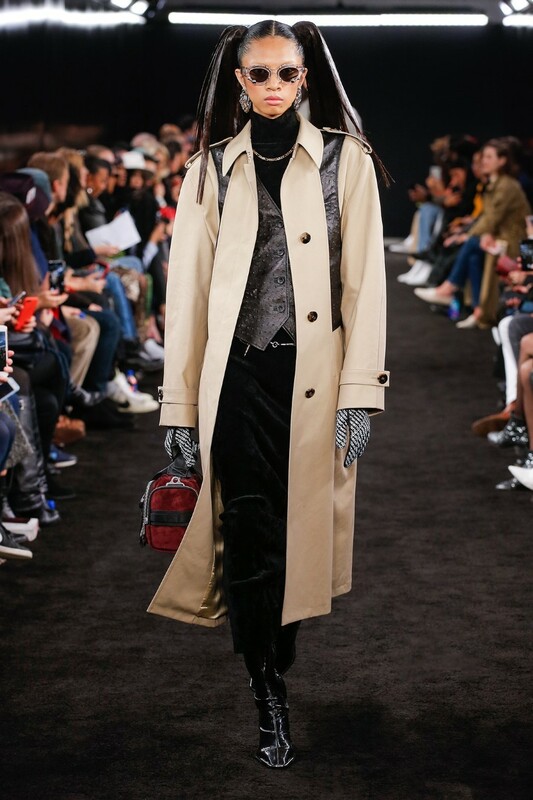 On last saturday night, Alexander Wang showed his Pre-Fall 2019 collection at the former Williamsburgh Savings Bank Tower in Brooklyn. 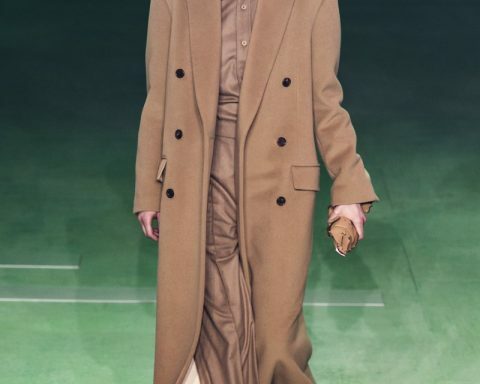 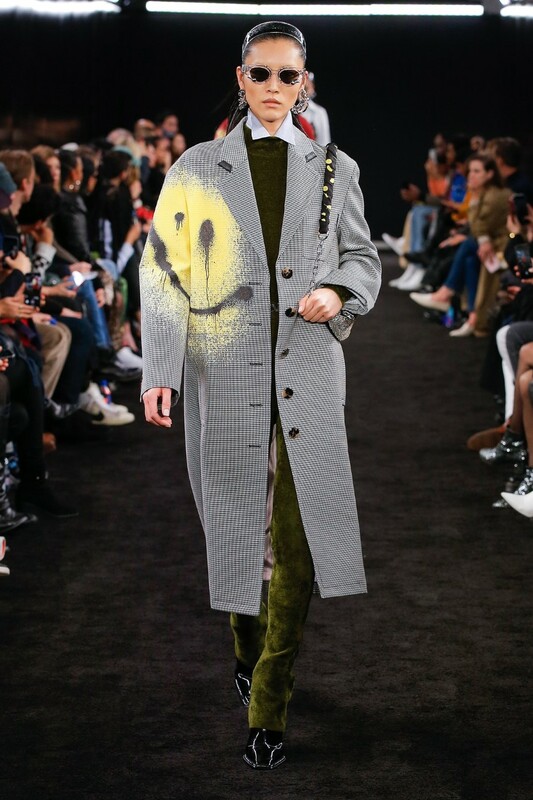 Dubbed ‘’Collection 2’’, his Pre-Fall show picked up where his June show left off. 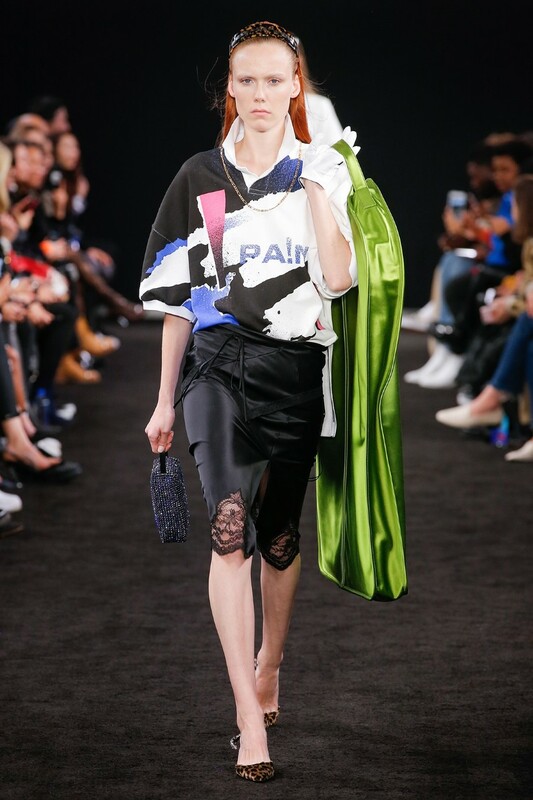 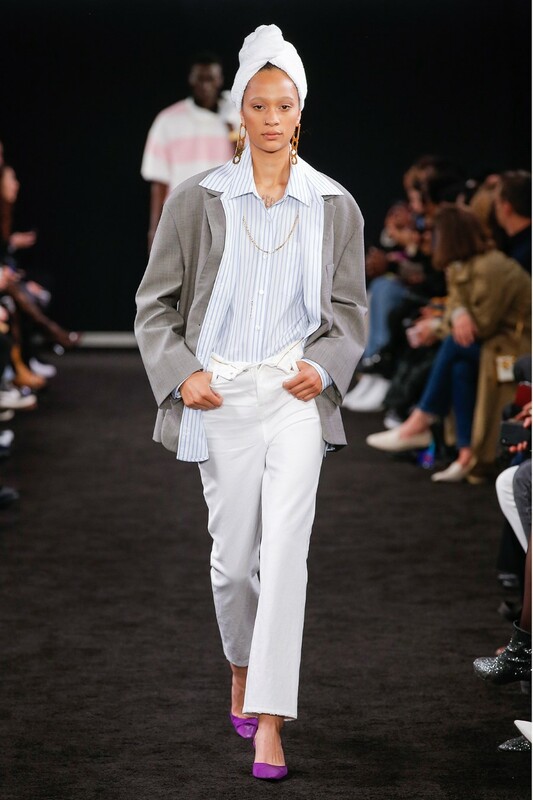 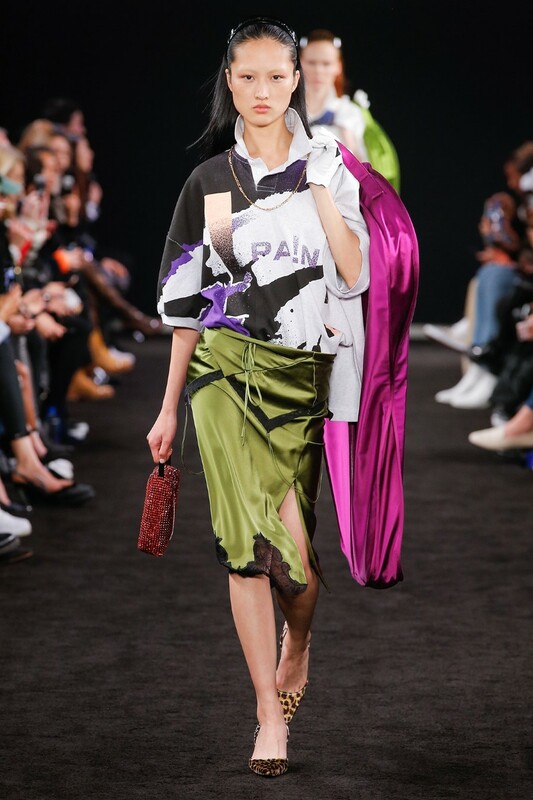 Whereas ‘’Collection 1’’ explored his Chinese-American roots and his status as an immigrant, this one was a ‘’celebration of the American hustle’’. 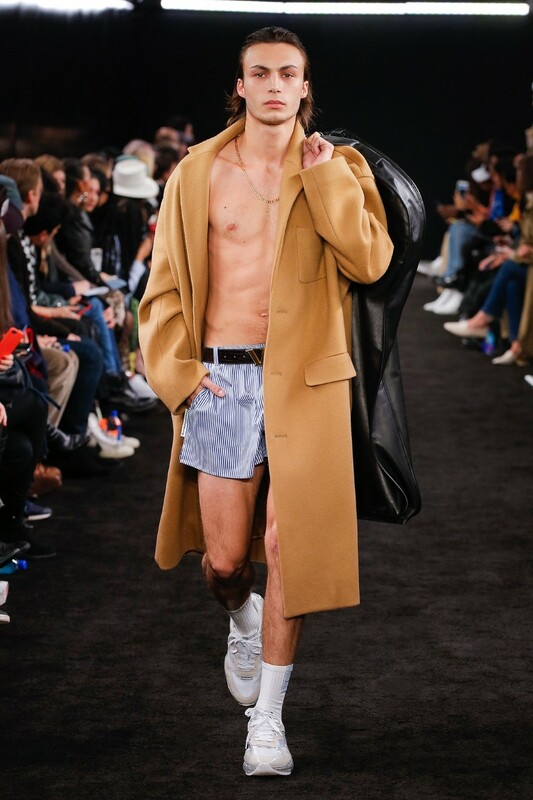 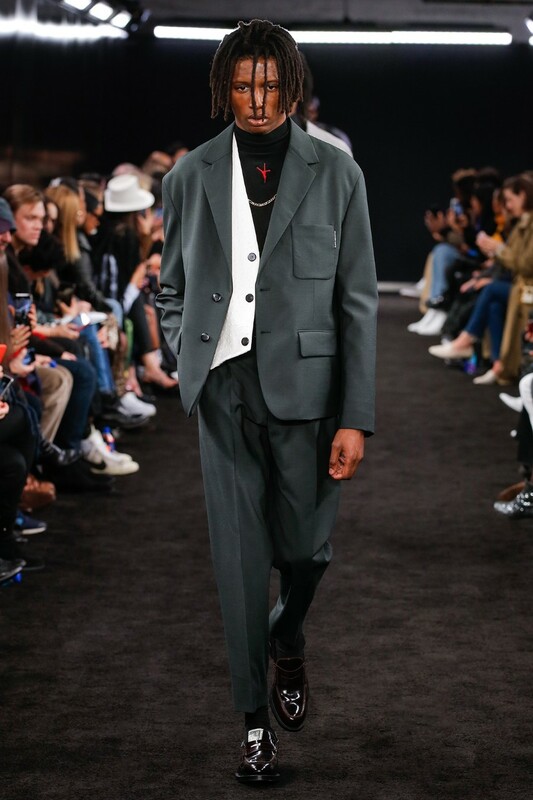 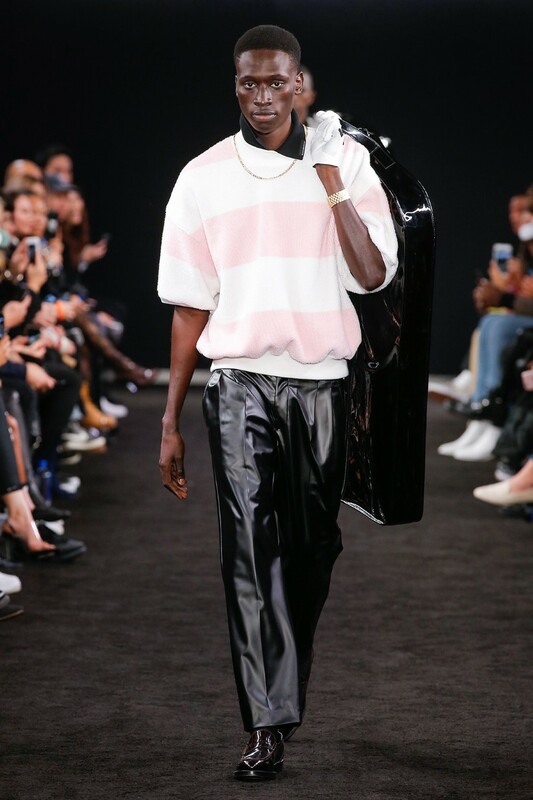 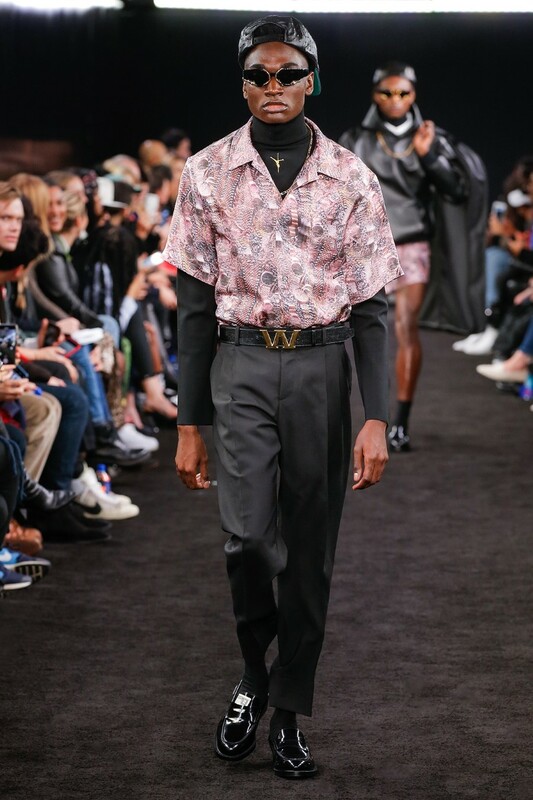 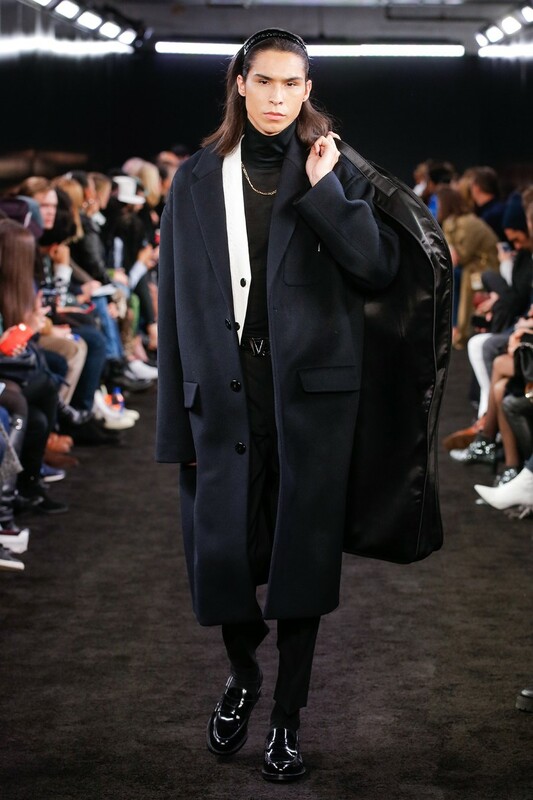 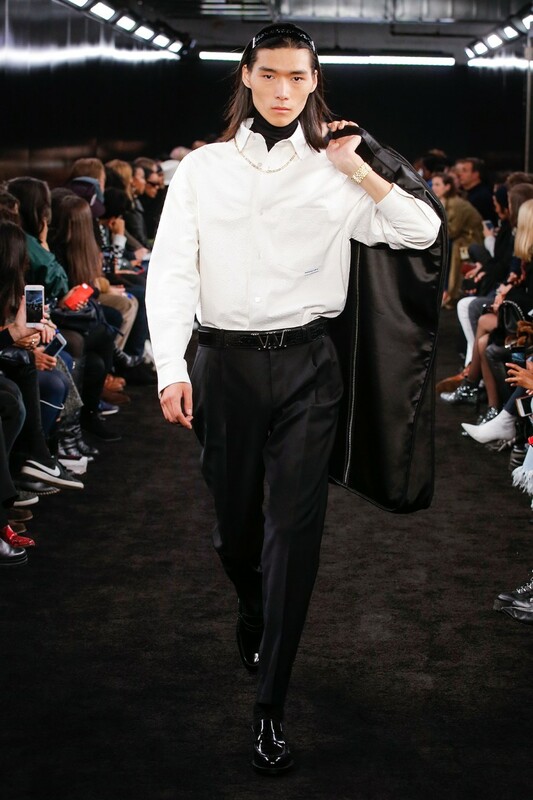 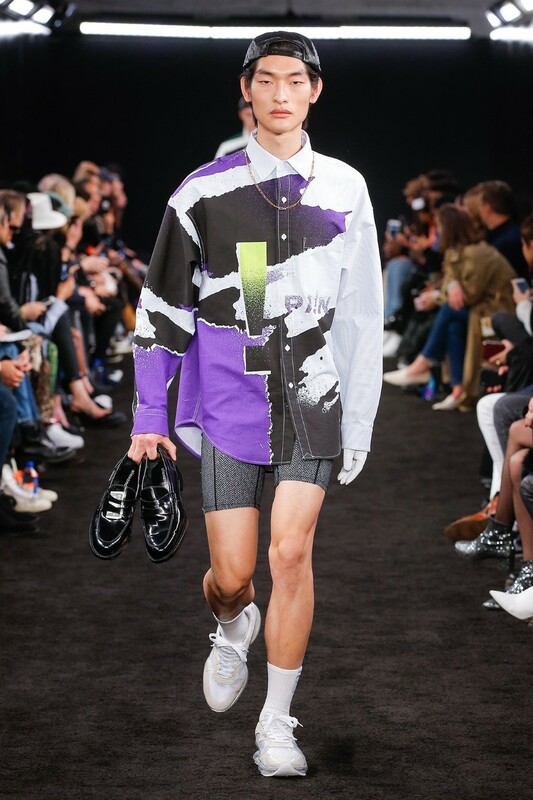 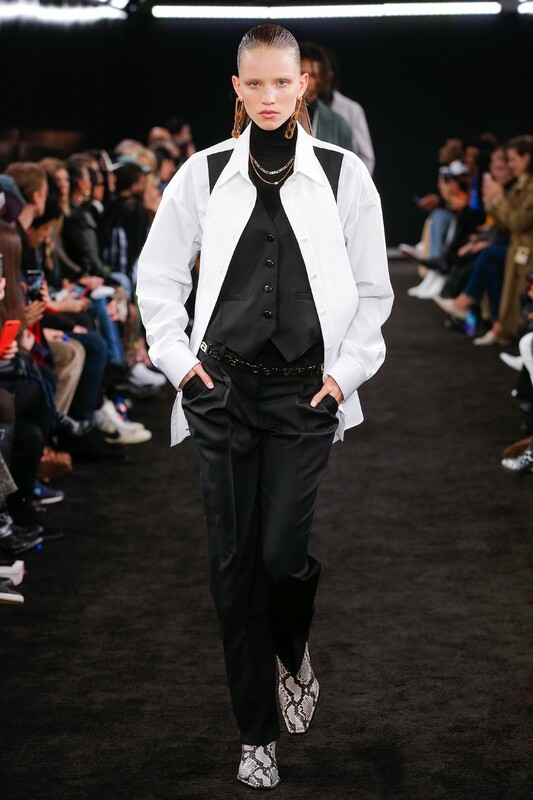 Encompassing a variety of mens’ looks, the offering played out as a fusion of uptown and downtown elements, all the while strongly representing the stereotypical uptown/downtown divide. 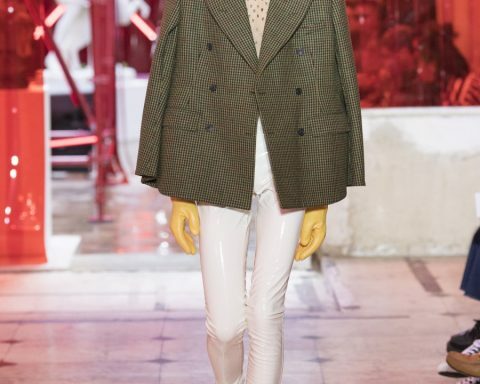 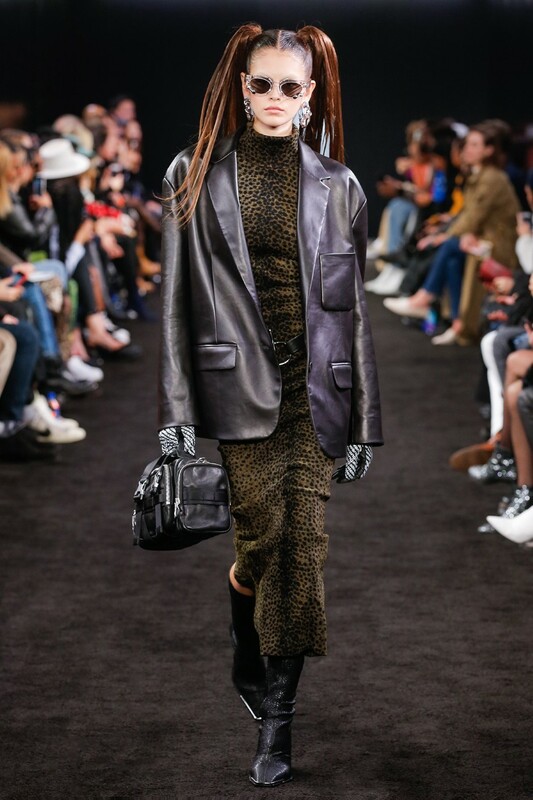 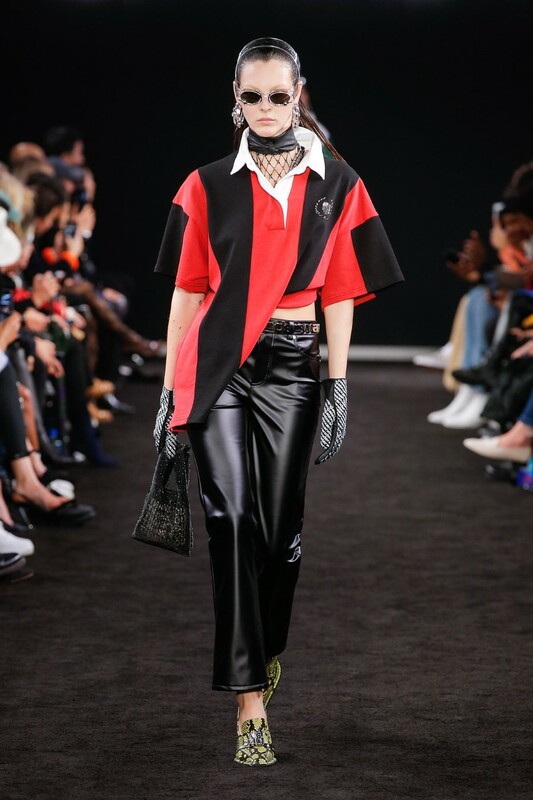 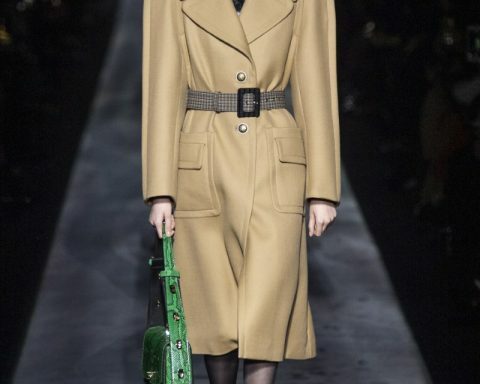 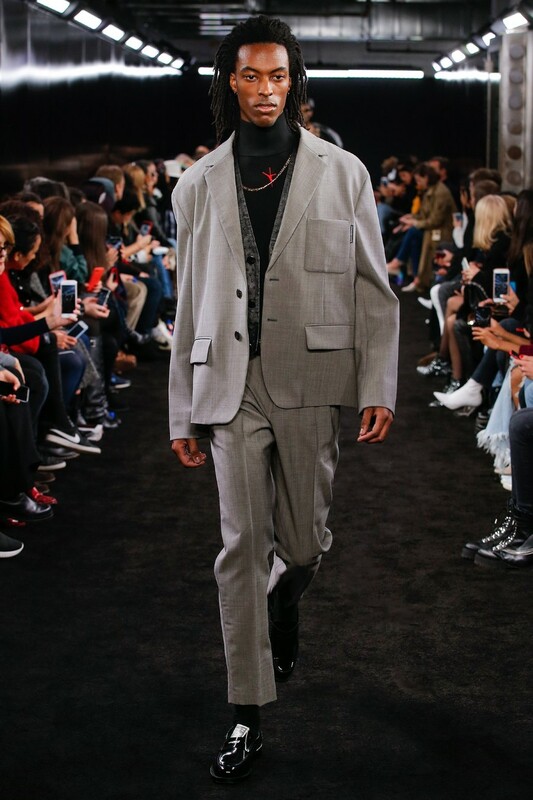 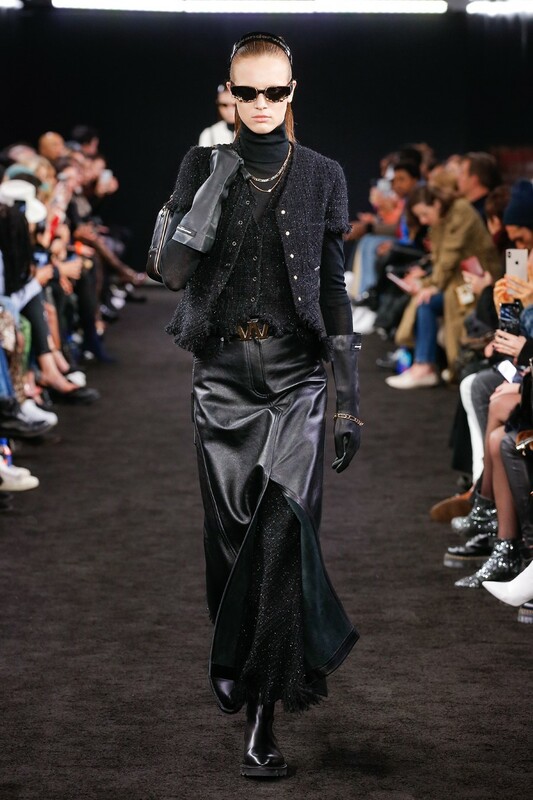 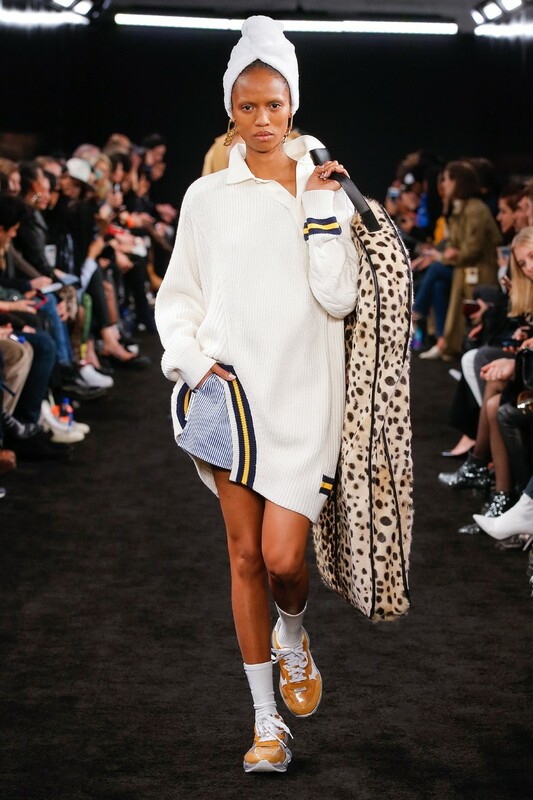 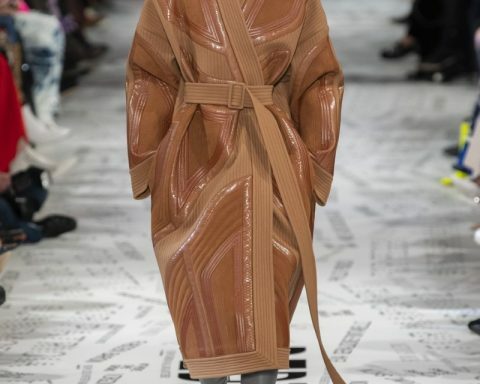 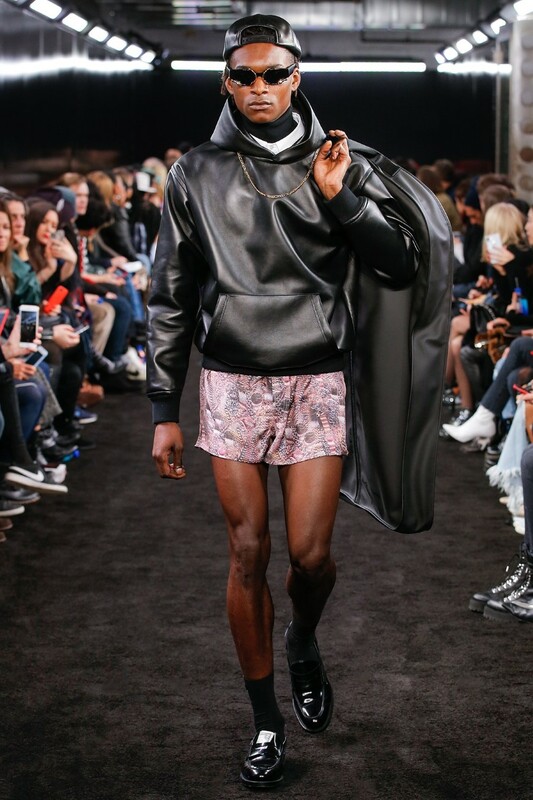 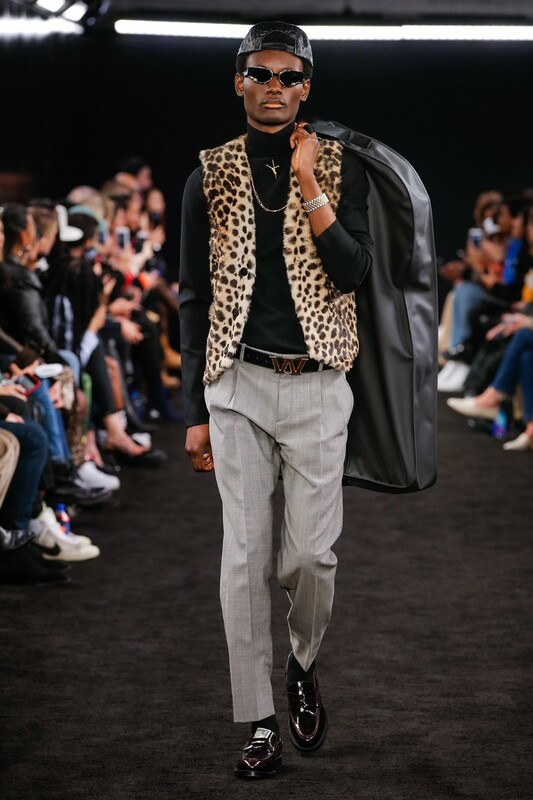 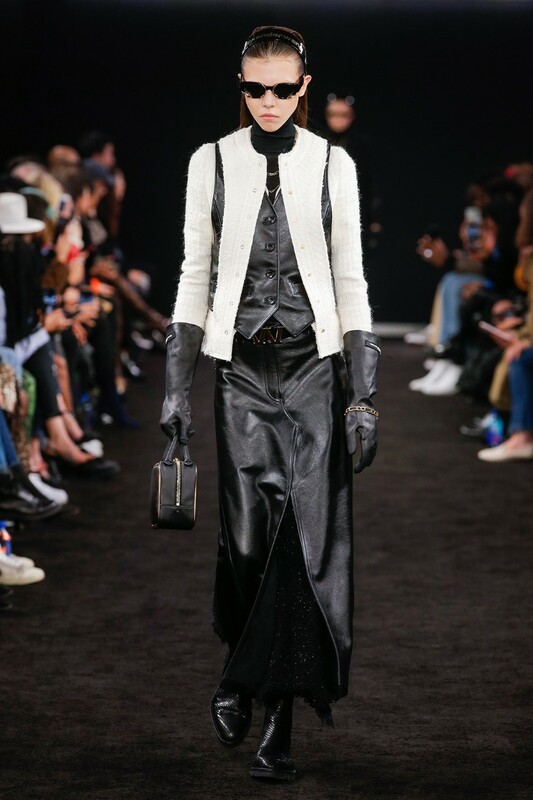 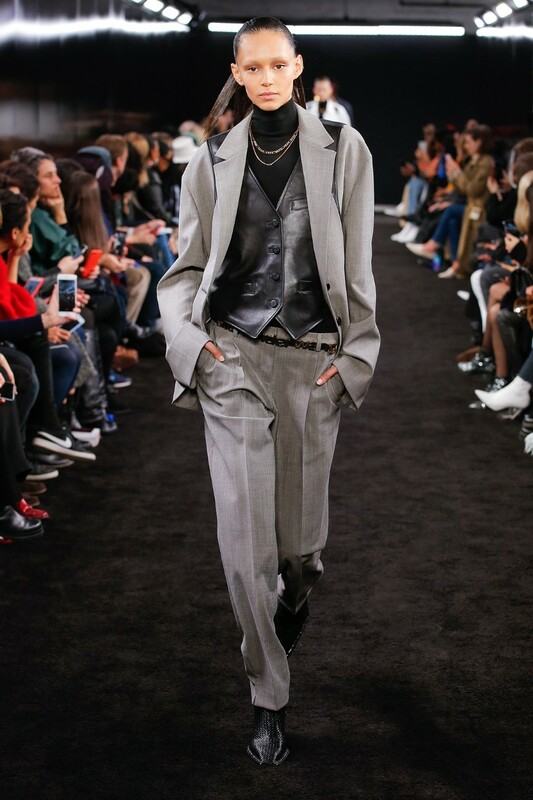 The strongest included leopard-printed faux fur layers, leather vests and pants and oversized brass W buckles looked like a play on Hermes’s famous H. There were also men’s blazers cut generously to hang loose like sweatshirts and oversized polo paired with leather cyclist short. 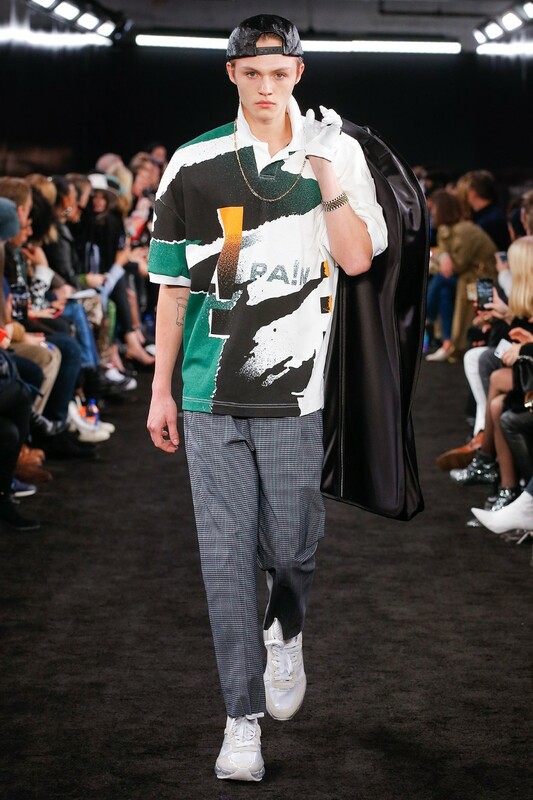 Eighties nostalgia came through in tennis-inspired “PA!N” graphics on seersucker polos while slim gold necklaces and slicked-back hair underlined the hustler mentality.